It meets the National Food Hygiene Standards. 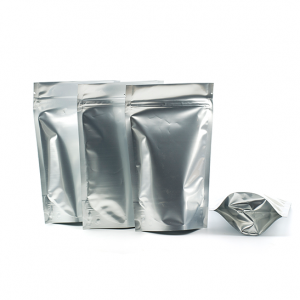 Recycling aluminum pouches does not produce as much pollution. Aluminum foil pouch manufacturers find it optimum for bulk production and sale. The barrier properties of aluminum foil keep the food inside fresh and healthy. It is consistent with the international trends of environment protection. The pouches can be conveniently heated in microwave ovens without any fear of danger. The packages can be easily used, carried around and disposed by users. They are perfect for storing both dry and liquid supplies without the risk of spill or leakage. They also provide protection against germs and bacteria preventing it from damage. Paras Printpack is the leading aluminum foil pouch manufacturers of Delhi/NCR with a wide range of packaging solutions for various industry sectors. To know more about our customized flexible packaging options, send us a message at info@paraspack.com.